Although she’s a bit of a weeny, I always liked the mom in Footloose. She was one of those moms who was loving and steady, but ready for the family to heal and move on. Oh, and can I say Marilla Cuthbert from Anne of Green Gables? She was definitely a wonderful adopted mom of Anne; she was loving, steadfast and supportive, despite her initially frosty exterior. I couldn’t agree more with Chrissy’s inclusion of Marilla (played by Colleen Dewhurst) as a remarkable maternal figure to Anne-with-an-”e” Shirley. In case you are not familiar with these names, they are main characters in a popular adolescent literature series, the first and most prominent title being Anne of Green Gables. A deliciously entertaining pair* of mini-series was made in the late ’80s based on the stories. It is must-see entertainment, full of adolescent adventures and indelible life lessons, as well as endearing Canadian accents. The lead actress, Megan Follows, is fantastic. If you haven’t yet sat down with your daughter, a sister, or a favorite girlfriend to have an Anne Shirley marathon, get thee to a public library and check out these excellent videos (Anne of Green Gables and Anne of Avonlea). Then cancel your weekend plans and enjoy. Anyway, I probed Chrissy for more of her opinions and insights about Marilla Cuthbert, and our Q & A session is below. In case you haven’t seen it, watch out, for there might be spoilers. How old were you when you first saw the movie? Did your age impact the way in which you first viewed Marilla as a mother figure? As an adult, has this impression changed any? I think I was around 8 or 9. Yes, I do think my age impacted the way I first saw Marilla. Initially I thought she was very stern, and since my focus at that time was more on Anne, I just simply didn’t notice Marilla’s role in the story as much. As I continued to watch the movies over the years, I began to pay attention to other characters and, of course, that included Marilla. When in the story did you start to see Marilla’s “frosty exterior” begin to melt? I think there are elements of this from the very beginning of the story. Most notably, there’s a scene in which Marilla is telling the lady that brought Anne from the orphanage that there was a mix-up because she and Matthew asked for a boy, not a girl. The lady says that another family in town might be able to take Anne and it just so happens that the matriarch of that family walks up at that moment. She’s obviously a very hard, uncompassionate woman and almost immediately starts barking out orders at Anne. Marilla watches this in silence, and says that she actually needs time to reconsider and that she should talk to Matthew before making any decisions about Anne. And of course, who could forget the scene where Anne forgets to put the cheesecloth over the sauce for the dessert she’s making for dinner with Miss Stacey? In a dramatic gesture at the end of the meal, Anne commands everyone to drop their forks because a mouse perished in the sauce earlier that day. Marilla is embarrassed and apologetic and rushes away all the dishes. But Miss Stacey starts to laugh, and eventually Matthew and Marilla join her in side-splitting laughter. What is your favorite scene with Marilla and Anne in any one of the Anne movies? There are so many good ones that I don’t think I can name an exclusive favorite! Although there are many funny scenes between the two characters, there’s a really touching moment right after Matthew dies, when Marilla hears Anne crying in the night. She gets up, comes to Anne’s room and comforts her. She says that even though Matthew seemed better able to express his love for Anne, she loves and has loved Anne just as much as Matthew did. How specifically was Marilla steadfast and supportive? Although Marilla was strict with Anne, she also encouraged her to reach for her dreams of teaching and going to college. She stood by Anne in the face of others’ prejudice against orphans (ex. Diana’s mother not forgiving Anne when Diana accidentally got drunk). Marilla was proud of Anne’s accomplishments and praised Anne for them. Marilla was dedicated to Anne and despite the many ups and downs that they went through, she remained faithful and committed. Is there any nugget of wisdom or advice that you remember Marilla sharing with Anne? I think that Marilla often gave Anne very practical pieces of advice because she was so pragmatic herself. But one piece of indirect advice was given when Marilla told Anne that she regretted the fact that she never forgave her old beau, Gilbert’s father. Marilla basically told Anne not to be too proud or unforgiving with people, because you could run the risk of alienating important relationships and ending up alone. Pretty good advice, I think. There was also the time that she offered to soothe Anne’s disappointed hopes and confusion about love with plum puffs. You can certainly never go wrong turning to yummy and sweet baked goods in times of trial. I agree wholeheartedly. Thanks, Chrissy, for your insights! What about you, dear moms? Are you a fan of these great movies? What are your thoughts about Marilla as a mom figure? Happy weekend, and check back next time to see if I delve into the argument of whether or not the mom in Footloose is, in fact, a weeny. * Just a note to acknowledge the third movie made, Anne of Green Gables: The Continuing Story – I only saw it once but was not terribly impressed with it. And for you hard-core fans, did you know that this is in the works? Holy cow! Ahh, brings back memories of “puffed sleeves” and “kindred spirits.” I must have watched that movie a hundred times as a kid but haven’t seen it since I was about 12 or 13. Maybe I’ll ask for it for my birthday. I liked Marilla more and more as I got older. I’d like to see her again, now that I’m a mom. Did anyone watch Avonlea the series? One of my favorites; I always got a kick out of Horace the postman! Oh my goodness! I love these movies so much! I used to watch both movies back to back on a snow day home from school. I am just so excited to hear that other people feel the same way about them! My love for the movies began when my sister’s eighth grade English teacher showed the first film on the last days of school. She came home raving about it and so we rented it from Blockbuster. Then we discovered the second movie and loved it just as much. Back then it was just my mom, my sister and me at home. The movies kinda became OUR thing to do together. Even after my mom remarried, on cold days, or holidays, Saturdays … our girl thing was watching one or both of the Anne movies. One of my favorite scenes is when Anne has to apologize to Mrs. Lynde for calling her all kinds of ugly things. And on the way home Anne and Marilla are talking. Anne hasn’t been with Marilla very long at all, but she has so much hope and can see through Marilla’s tough exterior. As they walk, Anne grabs Marilla’s hand and Marilla doesn’t let go. It makes me smile. You know after watching the movies, I wanted to read the books. But I only ever got through the first book. Everyone I talk to who has read them says they are so much better than the movies. I don’t even remember why I didn’t continue. Sharon: I never saw the series Avonlea… I think it was on the Disney Channel at the time and we didn’t get that channel. I too remember “puffed sleeves” and Anne saying the words “bosom friend”. Jenny: The first time I saw them was in school, too! That was 5th grade for me, before renting videos became common, and so when they did eventually come out on video I was over the moon with glee. Plus they’d play them on pbs sometimes. I was sooooooooooooo sucked into the stories. I remember the part where Anne was in the boat and it started to fill with water, and then the “episode” ended – and that was the last one they showed us in school! So I was in suspense for years until I knew what happened next. I was so worried for Anne. I was 11. I never read the books but I LOVED LM Montgomery’s series about Emily, and I have read those 2 or 3 times. Great stuff!! I totally watched the Avonlea series, Sharon! I’ve read all of the books and am the biggest Anne of Green Gables fan!! I actually want to reread them and rewatch the movies now. I agree that Marilla Cuthbert was an excellent mom!! Sure, I get crap for that. Many self-described ‘progressive’ moms like to talk about how bad things were in the past. But you know what: Her character wasn’t about weakness. She may’ve been shown in the kitchen, but she ran the house. Mrs. Cleaver was married to a strong, handsome man and they raised two thoughtful, polite boys. Father and sons cared about her deeply, there was never a bad word spoken, and she was respected. We should all be so lucky. I know, that I am one year to late, but I saw this site today for the first time. I live in Germany (so please excuse my English). I saw AOGG last week the first time! Since that day, I read the book and I love it so much! Especially Marilla! She is wonderful. Strict, but heartly. And what I extremely like is her steady voice. She mostly explains Anne the things very silent. She don’t yell loud. And the terrible scene in Annes Bedroom after Matthews funeral. Oh I had to cry . 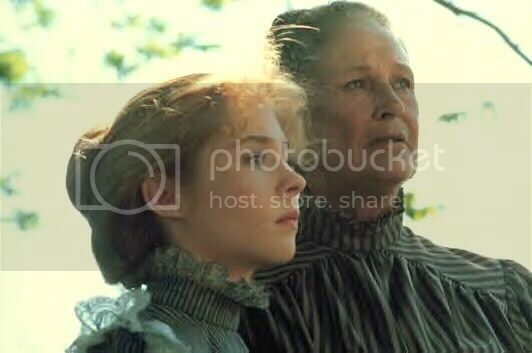 I think, that Marilla was the best mom for Anne! The Road to Avonlea series misses quite a bit of the charm of the AOGG, but still worth watching for the chance for a glimpse of the regular folks that inhabit that special place.